2011 seems to have gone quite quickly. I’ve set plenty of goals both in advance and along the way and achieved them. Here’s a summary of my year. The first day of the month saw me take on a New Years resolution of no alcohol for the year. Did I manage to stick to it? Keep reading to find out. I started the year weighing 93kg (14st 9lb) with 30% body fat and a 39” waist. 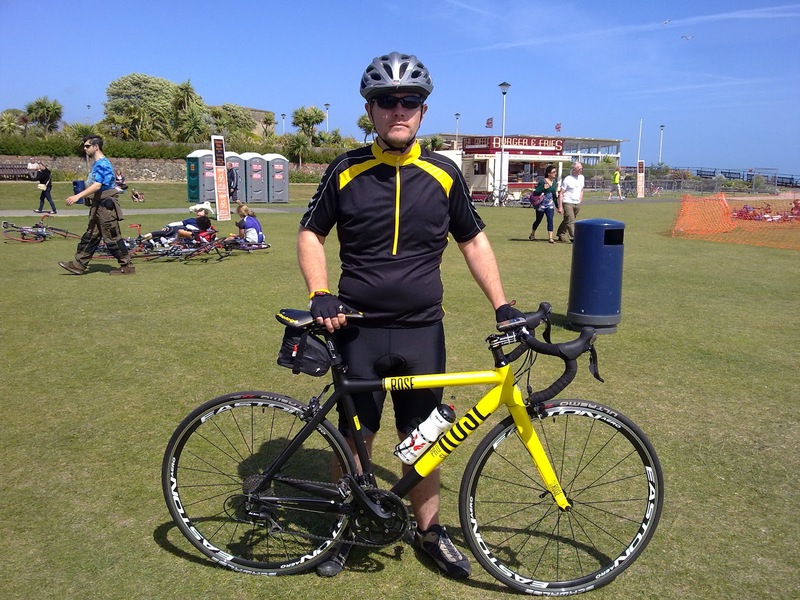 I set myself the challenge of taking part in 3 charity bike rides for the British Heart Foundation with the aim of raising £1 per day (£365). On 13th I took part in Rollapaluza. 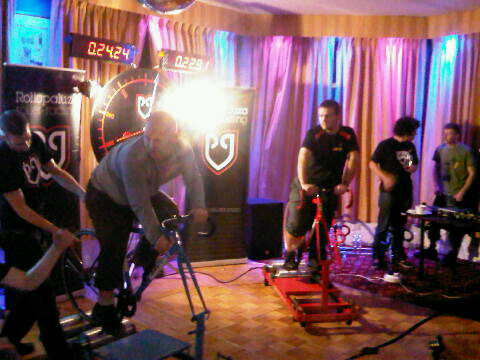 Two cyclists battle it out on a pair of custom rollers connected to a huge dial over a simulated 500m distance. I was rubbish but thoroughly enjoyed myself. I also met @_BLIXA_ for the first time. A thoroughly nice chap. On 16th I went to the London Bike Show with Les, the moonwalking bear. We also met up with @amboclaire. 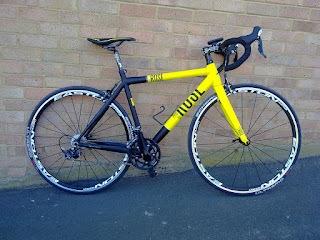 We lusted over lots of nice bikes including my favourite of the day, a certain black and yellow Rose. Bought a new set of wheels for my road bike. The rear wheel on my current set was totally worn out. February saw me drop below 14st. 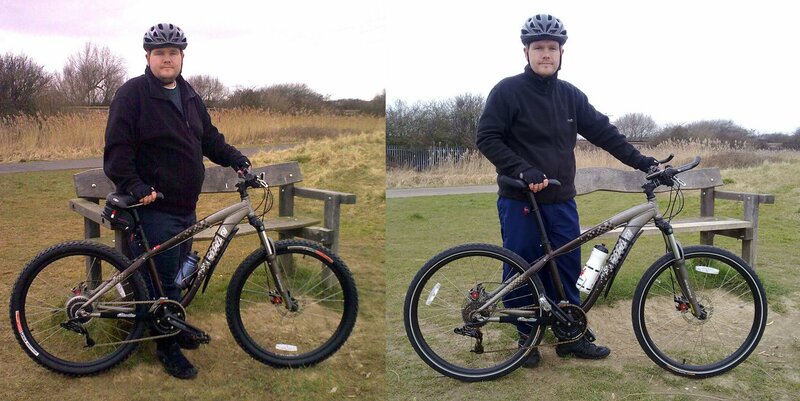 8th March was a year since I started cycling to loose weight and get fit. I weighed in at 86.6kg (13st 9lb). In a year I’d lost a staggering total of 45.2kg (7st 1lb). April saw me take part in the 30DaysofBiking movement. For those that aren’t aware, the challenge is to ride your bike every day for the whole of the month. 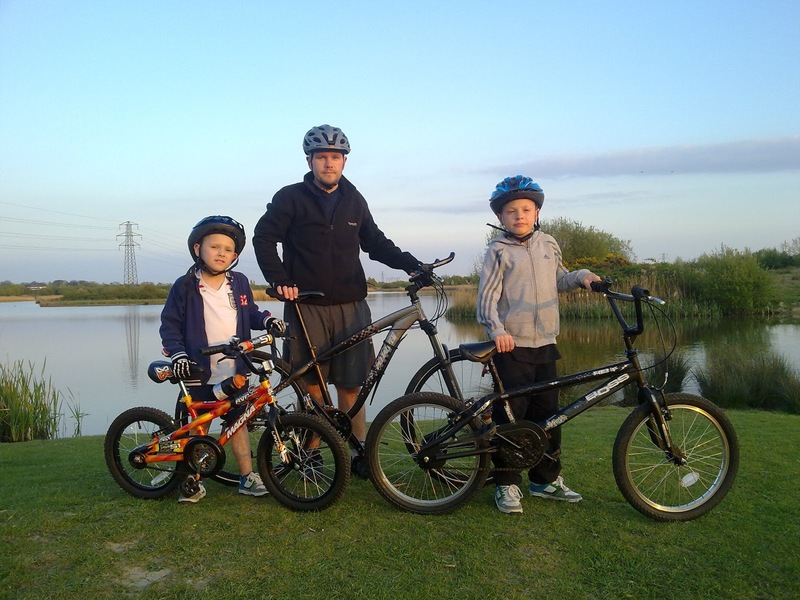 Although I’m an avid cyclist, getting on the bike every day, whatever the weather can still be a serious challenge. It proved to be the best month in terms of weather and I managed my highest total miles for the month at 600! 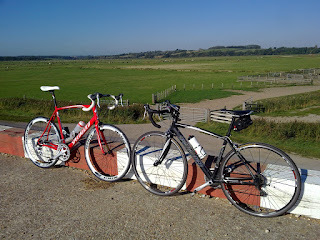 In April I treated myself to a new road bike, the Rose PRO-SL 2000, the bike I’d fell in love with back in January. I wanted a top spec bike that would keep cycling exciting and fresh for when the weather was at its best. In May I went to the Enigma Bikes open day, just down the road from me and saw how handmade titanium and steel framed bikes are made. May also saw the inaugural Eastbourne Cycling Festival. I took part in a Wattbike challenge and a mini time trial. The beginning of the month saw me ride my first century ride. A gruelling and hilly ride but well paced. Thanks go to @jfphillips62 and @_BLIXA_ for helping me do it. A total of 108 miles that day and I was totally shattered but so glad I’d done it. In June I took up running. At first it was to help me improve my fitness but soon afterwards it came in handy when a colleague challenged me to compete in a triathlon. Until this year I’d never done any running. I was recommended the NHS Couch to 5K programme by @me_on_average. This was very useful for beginners like me and in 9 weeks I could run 5km. 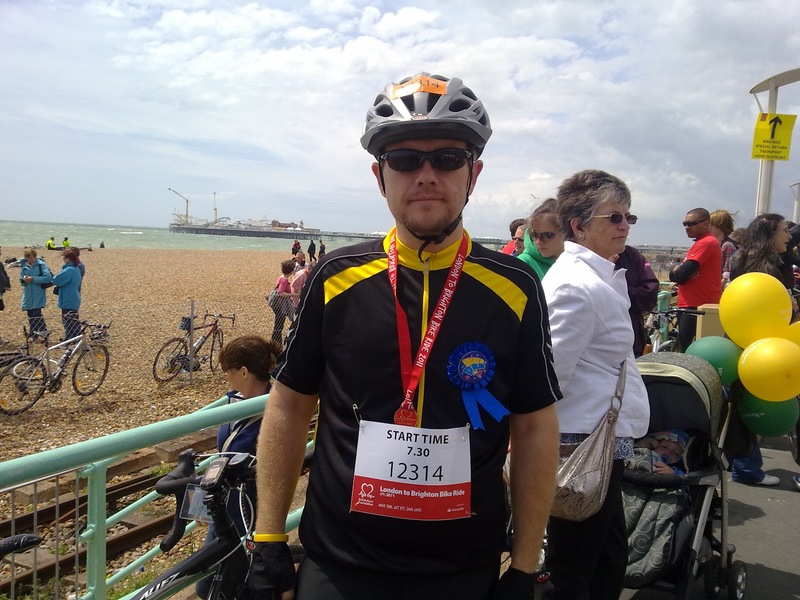 I took part in the London to Brighton Bike Ride for the second time, raising money for the British Heart Foundation. At the end of the month I took up swimming in preparation for my first triathlon. I was a poor swimming lacking any kind of strength or technique. 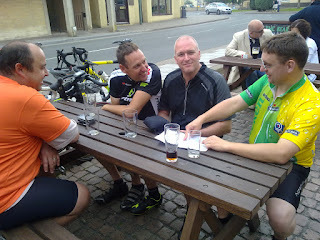 At the beginning of July I met up with fellow bloggers Matt, John, Pete and Rafe for the Pasty Ride V2. 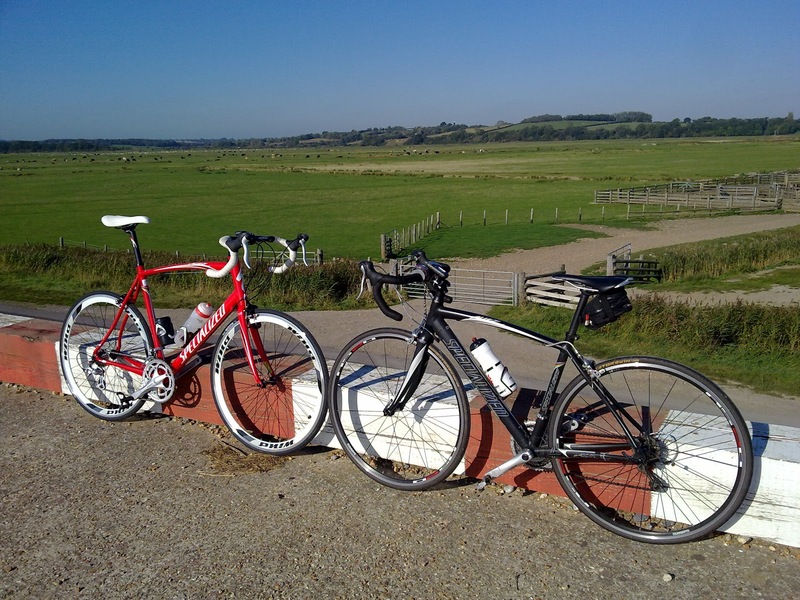 At the end of the month I took part in the inaugural Goodwood Cycle Ride at the famous motor circuit with my family. I took part in my first triathlon. A novice event consisting of 250m swim, 12.5km bike and 3km run. I came 19th out of 48 finishers. 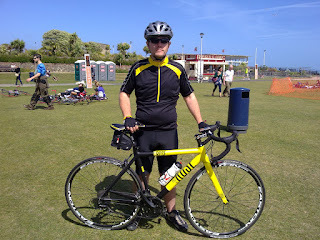 I also took part in the 2nd annual London to Hastings charity bike ride for the BHF with my mate Phil. The route was still 70 miles, like last year, but not as hilly. I got to ride with fellow blogger, Karen Addison. She flew 5,500 miles from Johannesburg in South Africa with her bike to ride with me. I started doing pushups along with some of my colleagues in the office. At first I could only do 3 at once but slowly progressed. We were doing as many as we could 3 times a day. I took part in the second 30DaysofBiking of 2011 for the month of September. The weather was often awful and on some days I rode the bike as little as I could. My kids joined in with me and managed to complete it too. At work, we decided to follow the hundredpushups.com programme as our current pushup level was not increasing. The programme takes you from nothing to 100 pushups in as little as six weeks. I also joined a triathlon club, Team Bodyworks XTC, to continue receiving first class swimming coaching. On the first of the month I went to the Cycle Show at the NEC in Birmingham with Les, the moonwalking bear and my eldest son. October saw me take on Battery Hill. The single toughest hill I think I’ve ridden. I also finished my cycle to work agreement for my first bike and took on the difficult task of choosing a winter commuting bike. I took part in my first Parkrun thanks to @Rustydub66. Parkrun is an organisation that offers regular 5km timed runs for free. My official time was 28m37s. Very please with that. I intend to take part every couple of months or so and see if I can improve. 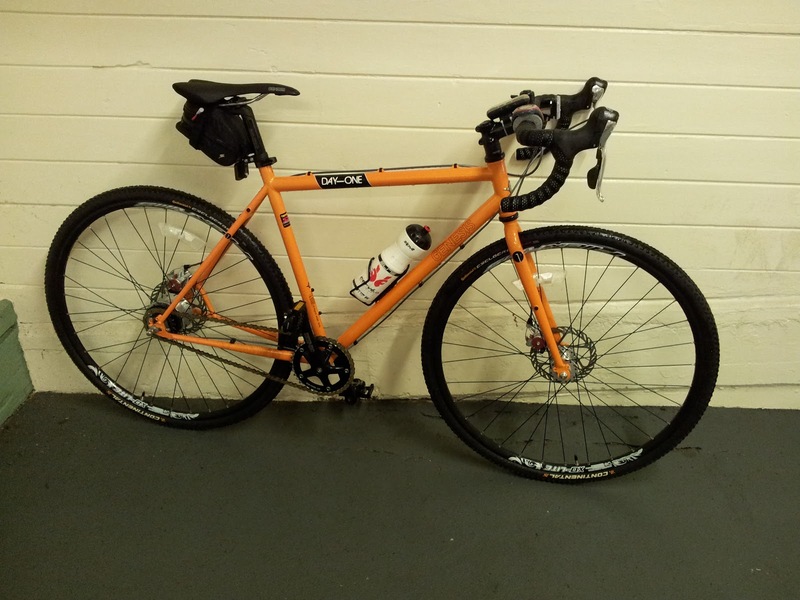 November saw my 33rd birthday and also ordering a new bike on the cycle to work scheme. 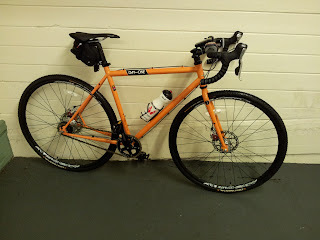 This time I opted for a hub geared bike, the Genesis Day One Alfine. A true all weather, winter commuter. After making my final run before Christmas, on Christmas Eve, I got a pain in my right leg. It only hurt if I stood on it and occasionally when walking. I made the decision to not do any further physical exercise for the final week of 2011. I’ve done some form of physical activity every single week of the year. I suppose my body really needs some sort of rest. I hope a week is enough. I managed to go without alcohol for a whole year without any problems. During the first week in January 2011 I wanted to have a drink but it wasn’t difficult to say no to the urge. During the year, a number of people saw it as a challenge to try and offer me a drink. I don’t know what the obsession with it was but it got on my nerves. The hundredpushups challenge is going well but is now getting really tough. I’m currently at Week 4 Day 2 and 142 pushups over five, back to back sets. It’s surprising how far you can progress. My weight gradually dropped throughout the year and when it levelled off I started to concentrate on building upper body strength. My weight has remained fairly level since the middle of the year. It’s never gone up or down by more than a couple of kilos. I still need to shift a little weight. Probably half a stone (3kg). However, the actual weight is not my focus. Body fat is my focus and has been for a little while. My goal is 15%. I’m guessing this will take all of 2012, maybe longer. We’ll see. I now weigh 12st 7lb (79.7kg), have 20% body fat and I have a 34” waist. I failed to raise £365 for the British Heart Foundation. However I did manage £217 plus another £39.24 in gift aid. I’m swimming once a week with a help from a professional coach. I’m regularly covering 2km an hour. I’m by no means a strong swimmer yet but am improving slowly. I’m currently running 3 times a week and can now run for up to an hour. If you asked me if I could do this in a year, I’d say no. My blog saw 7,268 visitors in 2011 with a total 24,458 pageviews. What I’ve realised with weight loss and cycling is that whatever you see as achievable is only the tip of the iceberg. Every realistic goal I’ve set myself has been smashed so I’ve now started setting myself unrealistic goals with the hope that they will be achieved in the not too distant future. Fantastic year but I don't think you can call yourself Fat Cyle Rider anymore! Awesome year for you Toby, very well done, you have my respect! I'm looking forward to riding with some of you again in 2012. It's been mentioned before that I need a new name but it will remind me and others where I came from, so I never go back there.